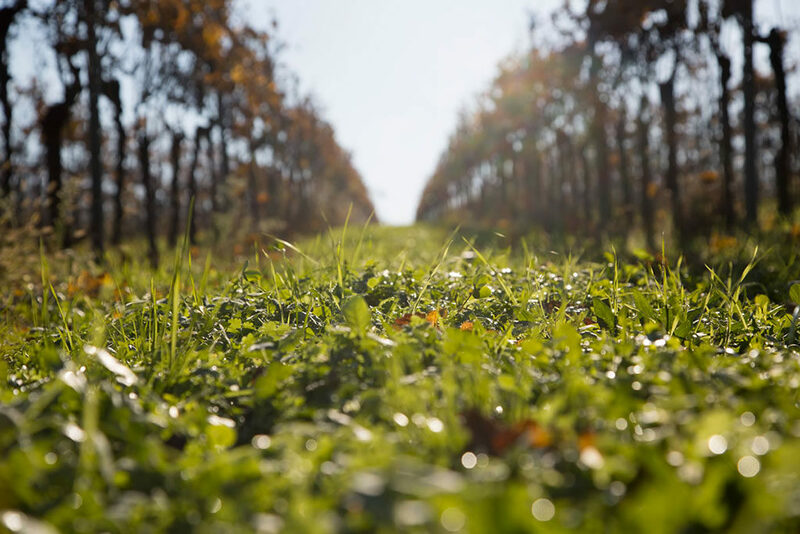 Since the winery was founded, the idea, to which all people working in the company follow, is to produce grapes and wines reflecting and respecting the beautiful territory we are part of and in which we live in. The starting point was the most obvious, but often overlooked: the vineyard. After arranging the pergola plots of the ’70s, others have been created with guyot. From the beginning the classic chemical weeding was abandoned in favor of a less impacting mechanical weeding. In 2013 the experiment began without the use of insecticides against the most harmful insect of the vine, the tignoletta. Given the enormous success, the use of chemical pesticides has been eliminated. At the same time we also worked to improve performance in terms of pollutant emissions in the cellar. In 2012 a photovoltaic system for the production of electricity was completed, allowing us to save about 30t of CO2 emitted per year. The energy of the sun is also used for the production of hot water, which covers about 85% of the needs of the cellar. In 2015, the evolution of this process aimed at minimizing chemical products and a higher environmental respect, the company converted from conventional to organic farming.